Stretching, shrinking, fading, oh my! 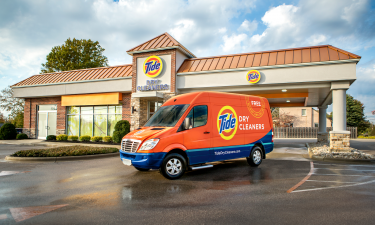 When it comes to fabric care, Tide Dry Cleaners has you covered. We want to keep your garments in good condition so you can enjoy them longer. Knits should be folded and stored when not being worn. Do not hang knits as stretching will likely occur. Garments made of acrylic fibers will stretch more easily than wool, wool knits may be a better investment. Purchase garments that allow at least a little room for shrinkage. Fabrics are subject to shrinkage if it they have not been pre-shrunk. Examples are soft woolens, angora, drapery and upholstery fabrics. 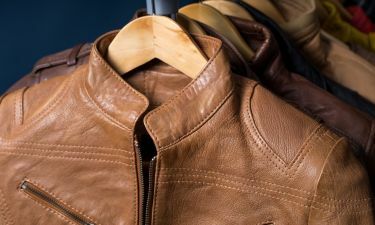 Leather and suede garments can also be subject to shrinkage. It is unwise to purchase garments that do not allow at least a little room for shrinkage. Garments with surface print can be adversely affected or even lost with the gentlest care in dry cleaning or in home washing. To identify a surface print, check to see whether the color or design totally penetrates the fabric. If it does not, this garment will most likely require special care when cleaning. Cotton knits are often not stable due to loose knit construction, lack of the resilience of the yarn, and improper pre-shrinkage. Common complaints are stretching, distortion and shrinkage. Cotton knits can be dry cleaned successfully but due to the absorptive properties of cotton, soil is not always removable because of the mild solvents used. The dyes used on silk frequently bleed, resulting in color loss. Perspiration will degrade silk fabric, perfumes and deodorants will adversely affect the color. Silk may chafe, split or shred in normal wear especially if the fabric is lightweight or if the garment is form-fitting. Velvet fabric may become flatted or distorted, especially in the seat and underarm areas. Do not attempt any form of stain removal on velvet as the fabric would become damaged permanently. Metallic fabrics are attractive but not always able to be dry cleaned. Friction and mechanical action in wear may cause the fragile yarn to snap. Stains and perspiration may cause the metallic yarn to tarnish. Fading occurs when the fabric is exposed to sunlight or artificial light. The color loss is very gradual and often goes undetected until the garment is cleaned or washed. Dyes used on silks, acetate, leathers and suede’s are most susceptible to color loss or discoloration. Fading that occurs in home closets and on retail store racks is known as fume fading. 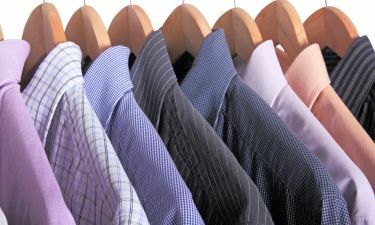 Keep your garments in pristine condition by getting them dry cleaned often. Stop by your local Tide Dry Cleaners to talk with one of our guest services representatives about how to take care of your garments.